After plying my children with donuts, I will take them to the 10:00 a.m. showing of The Lorax (1972). Unfortunately, my schedule will not allow me to attend The Cove later in the day. However, let me use this very brief post to make up for my absence as I attempt to cajole a few more souls into attending the screening. The Cove won the 2010 Oscar for Best Documentary, and I felt that the award was well deserved. 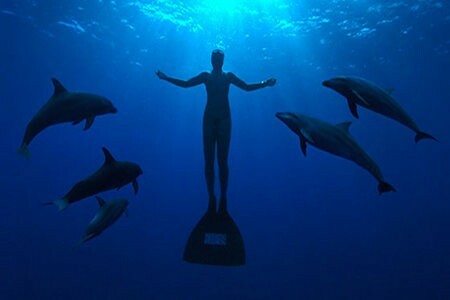 More than simply a political documentary advocating for the ethical and humane treatment of dolphins and an end to the exploitation of marine mammals, The Cove is a taut, tense heist flick in which a renegade team of activists attempts to inflitrate a heavily guarded coastal region to expose horrific and previously undocumented violence. One need not share or agree with the documentary’s politics to enjoy it as a spectacle of well made cinema. The film will be shown in 35mm: an absolute treat. So do as I say (or write) and not as I do. See The Cove. Todd Starkweather is an Assistant Professor of English at South University-Richmond. He has a PhD in English Literature from the University of Illinois-Chicago; his interests include film, Victorian studies, sport, and post-colonialism. This entry was posted in Events, Film and tagged Byrd Theatre, documentary, Richmond Environmental Film Festival, The Cove, The Lorax. Bookmark the permalink.